From time to time we are asked for additional recipes from cookbooks and generally we are happy to oblige. We welcome all questions, though we have trouble sometimes with how to respond efficiently to comments, so here is an attempt. 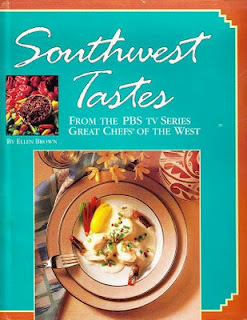 Someone asked for an additional recipe from Southwest Tastes. Can you please post the bbq potato salad recipe out of that book? There is only one potato salad recipe, but it does have barbecue sauce, so here it is from The Salt Lick in Driftwood, Texas. 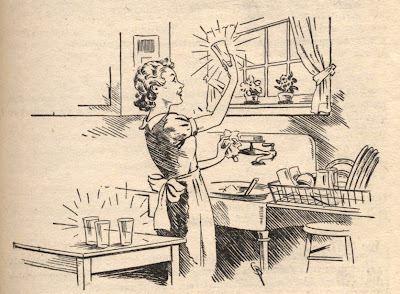 The day before serving, scrub the potatoes and boil them in salted water until tender but still slightly firm when pierced with a knife point;they should not be mushy. Plunge them into ice water, and when cool enough to handle, peel them and cut them into 3/4 inch dice. Season the potatoes with salt, pepper, and celery seed. Marinate the onions in the pickle juice for a few hours, or overnight in the refrigerator. To serve, drain the juice and add the onion s to the potatoes. Add the barbecue sauce and salad dressing, tossing to coat evenly. Place back in the refrigerator at least one hour before serving, and just before serving, add the mayonnaise. Adjust the seasoning and serve. Enjoy! Send us photos of the finished recipe. Thanks to Brocante Home for our housekeeping picture!